What effects does inappropriate use have on the outdoor sauna? Inappropriate use of the outdoor sauna leads to rotting of even the most durable wood species. To avoid such problems with wood, it requires some special treatments. Sauna wood affected by fungus can be treated with ultraviolet radiation. UV ray deactivates all types of mold. Even though gray stains might remain after the UV treatment, it not dangerous and can be cleaned with specialized solutions. 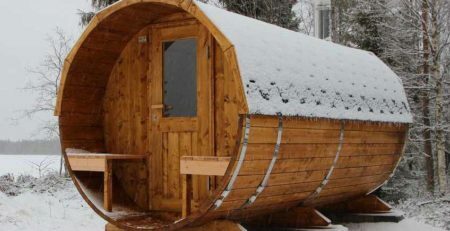 The treatment of the external side of the sauna can be carried out using almost any means, but the inside requires special care. It is especially undesirable to use toxic treatment methods because they are harmful, have a sharp and unpleasant smell, and leave behind stains. All this after effects, along with the extreme temperatures of the steam room, virtually eliminate any kind of toxic methods. 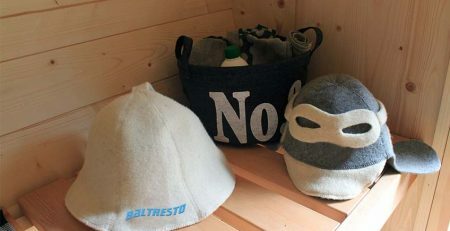 Of course, it is not necessary to paint the wood in the steam room with oil varnishes or paints, but to protect the wood, there are other harmless and effective means. 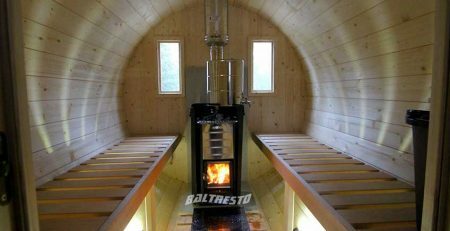 For example, to reduce the moisture and dirt absorbed by the wood, you can treat with those parts of the outdoor sauna that get in contact with the body with ordinary linen, hemp or other vegetable oil. These parts are the benches, backrests, and headrests (if you have them). Also, for this purpose, there are ready-made compositions available based on paraffin oil. So, you can use paraffin oil both in domestic and medical purposes and in perfumery. It is a part of ointments and medicine creams as a base. Besides, paraffin oil perfectly emphasizes the structure of wooden surfaces. You can apply it to any wood surface, but it will bring a special effect when you apply it to the objects made of alder. It should take into account that the alder slightly darkens from the oil. But alder, in its pure stage, is reddish. So, even if it darkens, it will still retain its natural color. Therefore, we can say that this coating does not change the color of the wood, but makes it more durable. In such impregnation, it is possible to add an oil flavoring. For example, oil of mint or rose, lemon, tea tree, eucalyptus, etc. The fragrance will last for a long time and can be renewed. You should impregnate the wood about once every six months, and twice as often for benches. You can clean the dust and dirt of wood burning stove with a damp cloth. It will be better to remove lime or water stains on the stove with a brush. Many people use specific methods to determine the time of stones replacement. The frequency of stones replacement depends on the rate of use of the wood burning stove. If you use the sauna, on an average, twice a week, it is recommended to change the stones once a year. It will be useful sometimes to shift the stones from place to place. As they eventually get destroyed, the space between them is reduced by crumbling particles, which restricts air circulation. And this can cause premature burnout and failure of the stove. The destroyed heating elements must be immediately replaced because otherwise the remaining serviceable ones will get damaged even sooner due to the uneven air pressure, and, for this, the thermostat takes a longer time to heat up to a higher temperature, which can also lead to their malfunction. If you use a wood burning stove, always clean the ash pan before heating so that the combustion air, passing through the ash pan, cools the grate and increases its service life. Find a metal container, preferably a standing model, to collect the ash. Since there may be hot coals in the ash, keep the ash container away from combustible materials. If necessary, check and tighten the mounting bolts of the door handles and loungers, grease the hinges and the door latch, and adjust it if necessary. 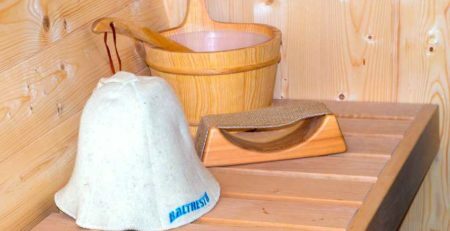 What kinds of sauna accessories are needed?